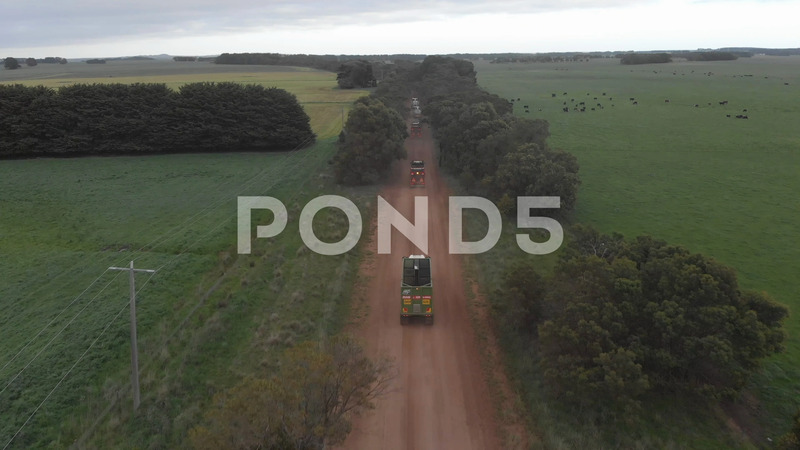 Aerial Following Farming Vehicles In Convoy Along Straight Narrow Road. Description: Aerial following farming vehicles in convoy along straight narrow road. Above trees.